Esri, is pleased to share the successes of companies who have graduated from the Esri Startup Program, a three-year program providing online services, software, support, and training to kick-start product development and enrich existing solutions. The unique program enables the most promising emerging businesses to incorporate location intelligence into their solutions. To be eligible for the Esri Startup Program, companies must be founded less than three years ago, build software or platform-as-a-service products, and currently generate less than $1 million. You can learn more about our qualifications here. Hundreds of startups from around the globe are enrolled. These up-and-coming businesses have integrated Esri’s spatial capabilities within their product offerings, helping Esri customers gain even more value from their investments in ArcGIS. Esri Emerging Partners address a broad spectrum of industries such as public safety, local and federal government, utilities, natural resources, health, commercial sectors and more. These companies are driving innovation across a wide array of themes including, mobile, Internet of Things (IoT), real-time analytics, augmented reality and more. Upon the completion of their Esri software integration you can search their company directory listing under Emerging Partner in Esri’s Partner Directory. We’re excited to announce many of these companies who will continue to collaborate with Esri and leverage ArcGIS within their solutions as Silver Tier Business Partners in the Esri Partner Network or as customers. We also have an array of acquisitions success stories from our startups, many of which are continuing partnership or to leverage the technology. Read on to learn about the successful market-ready businesses who have completed their time in the program! TerraLoupe is a young, innovative company based in Germany with worldwide access to imaging technology. They are competent in geo-informatics and machine learning with lots of international experience. They work at the innovative edge of technology together with their partners, to combine current research with real business applications. A business intelligence solution for smart utilities. Res–Intel is designed to provide actionable insights to improve utility profitability, customer satisfaction, and operational effectiveness. Res-Intel’s Portfolio Analyst software tool benchmarks building energy and water usage for millions of buildings. High-users can be micro-targeted with customized conservation and demand response programs. The software’s predictive analytics identify those high-usage residents with the highest probability of participating in the programs. Residential Demand Side Management (DSM) programs represent fantastic opportunities for improving customer satisfaction and lowering energy procurement costs. The Res–Intel Graphical User Interface (GUI) offers several significant benefits that improve data input and output management and analysis, enhanced performance, and added security. The Res-Intel Portfolio Analyst performs advanced spatial and building energy analytics for mass-scale benchmarking. The Italian company develops B2B solutions for companies who need to provide innovative tools to their staff traveling or to moving goods. The solutions supports the consumer and business market with vertical solutions for industrial and commercial companies who need to provide innovative tools to their staff on field both during planning activities and travel. MobyPlanner Platform is a fast geospatial agenda optimizer that solves the complexities that happen when the users’ schedule is layered with travel requirements in an urban environment. The framework helps companies with a dedicated console can plan appointments, optimize daily itineraries and send to the staff the scheduling, automatically. In the same time the platform provides to staff field a “personal assistant” that check during the day necessary information to reach appointments on time. All of this to optimize the movements of staff (or goods) on the go to save time and reduce costs. Provides a full range of geo-marketing services in various areas to the Russian and CIS commercial real estate market. Focusing on the needs related to the assessment of the placement of commercial properties and the analysis of urban areas. SmartLoc has three branches: supply of geodata, consulting for the placement of retail objects and IT solutions. The company has been providing service and products for the biggest companies in Russia in the retail and development. A full life cycle analytics platform which offers companies of all sizes to grow, scale, track and collaboratively manage their real estate assets all in one place. This affordable suite of powerful, easy-to-use online tools and services allow companies to increase efficiency, improve services and save money. A B2B SaaS company that focuses on improving the communication gap between businesses, their customers, and the general public. This allows businesses to resolve issues as fast as possible with minimal overhead using communication channels that already exist. The DataCapable Platform (DCP) is a cloud-based (SaaS) solution that specializes in event detection, event notification, and event mapping. The DCP is fulling integrated with Esri GIS solutions. Utilities, School Systems, Government Agencies, Energy Managers, Transit and Turnpike Authorities, plus businesses of all shapes and sizes rely on DataCapable’s real-time event detection and customer engagement solutions. The DataCapable Platform collects and analyzes data for a variety of use cases and datasets in a wide range of industries. DataCapable Platform is powered by a library of patented machine-learning algorithms, which are a form of AI (artificial intelligence) that has been trained for the detection of specific event types. In numerous instances, DataCapable has provided emergency operators with the first indication of significant events, including; gas leaks, wildfires, earthquakes, power outages and active shooters. This has provided customers and emergency center operators with an indication as much as 40-minutes before their traditional event awareness workflows and systems. DataCapable’s UtiliSocial Platform Bolstered with Esri Integration: ‘ArcGIS Online’ and ‘GeoEnrichment Service’ Fully Integrated to Maximize GIS Investments. Provides up-to-date, accurate and cost-efficient information on road asset conditions. Our automated data collection and algorithm-based roads prioritization software can help optimize your road budget and provide user-friendly analytics about the status of your roads and sidewalks. StreetScan’s vehicles equipped with proprietary sensing technology—3D cameras and optical devices—can detect pavement surface distresses without interrupting traffic flow. Trained algorithms evaluate and prioritize repairs of assets including pavement, sidewalks, traffic signs and more. Collected data goes into StreetLogix, our unique cloud-based application, allowing municipalities to visualize and manage road assets in order to schedule maintenance. StreetLogix is a highly customizable, web-based asset management software that enables municipalities to optimize their road budget within a user-friendly GIS environment. The system provides objective information on the current state of their infrastructure and makes maintenance and repair recommendations, including prioritizing roadway projects. Our asset management portal is versatile, easy-to-use and tailored to the needs of each municipality we survey. A modern cloud-based solution for traffic collision data analysis and management. Local government agencies need to maintain historical collision data and conduct safety analyses with the data. 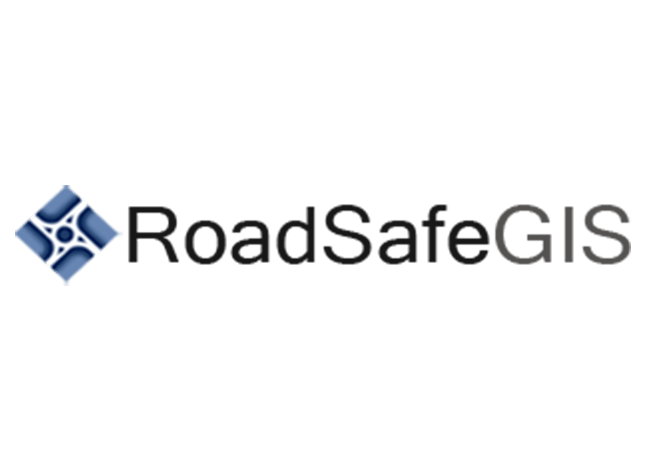 RoadSafe GIS provides mapping functionality to complement technical engineering safety calculations within the software. Collision Database Management System (CDMS) provides all the tools needed in an easy-to-use, powerful web interface. It focuses on the features you need and leaves out the rest. Simplify your transportation data management using our CDMS, is more than a software, it’s a well-oiled service managed by our team of experts. 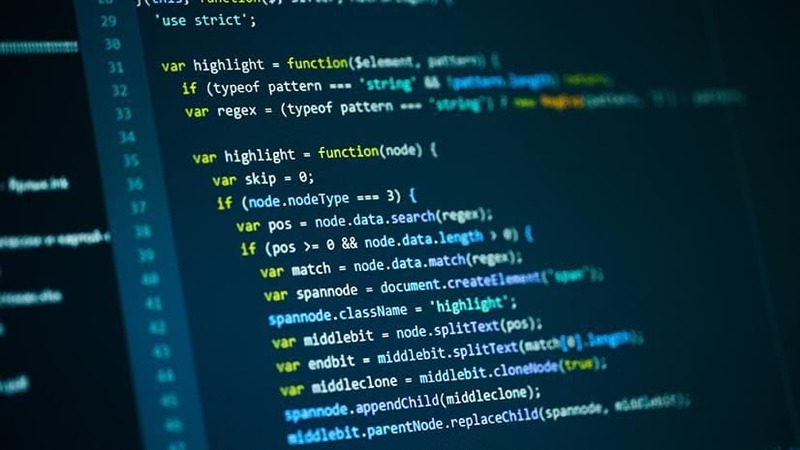 Choose from a variety of data import and connector options while we handle the web application and database management so you can focus on your analyses. An incident response platform, GlobalFlyte brings revolutionary capabilities to incident response management. Cost-effective, easy to deploy, and scalable to meet small and large departmental needs, this suite of services on a single platform will change the way your department plans, responds to and manages emergency events. Based on patented, ground-breaking multimodal communications technology from the U.S. Air Force Research Laboratory, integrated with commercially developed Esri ArcGIS powered mapping, imaging, and smart phone technologies, GlobalFlyte stands ready to support your mission of saving lives, minimizing property loss and protecting first responders. GlobalFlyte is a cloud-based service that is compatible with existing incident response hardware. The result is an easy to use, fully integrated platform of communication and visualization tools, that is as useful to a small police or fire department, as it is to a major urban disaster response agency. Explore the solutions. 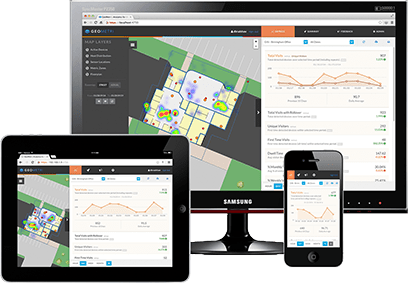 GlobalFlyte’s multi-layer Interoperable Cloud-based, Common Operating Picture is now being used by joint public safety and security teams for special events such as the Air Force Marathon and the University of Cincinnati football games. Building amazing web mapping technology. In fact, they’ve written so many maps they wanted to find out how they performed *in the real world*, so they built www.maptiks.com, a Google Analytics for web maps. If you have a web map, you should take a look, they can deliver completely new consumer insights based on how your users use your map. They can offer more than that though. They have been collecting data about maps since the launch of Maptiks and can tell you about the best map technology to use for different purposes, demonstrating which maps make most sense and which maps will convert. They can deliver expertise based on millions and millions of user activities. Products & Features: Maptiks provides in-depth user insights by tracking how visitor click, pan and zoom on your web maps. Built for GIS developers and teams of medium to large businesses who require richer, detailed analytics of their map usage. Try web map analytics for ArcGIS using the ArcGIS Marketplace. A safety and communication solution designed for organizations with work-alone or at-risk personnel. It communicates with your mobile device, automatically notifying the necessary people of a trip’s progress. If the unexpected happens or a check-in is missed, Antris instantly notifies managers or emergency contacts. Products & Features: Antris come in three subscription options, Antris Mobile, AntrisPro, and AntrisPro+. Antris communicates with the persons mobile or GPS device to monitor for safe check-ins and the automated Alert Process reacts immediately if a check-in is missed. If the Alert Process is exhausted or they initiate an SOS, Antris immediately notifies managers or emergency contacts. The administrator’s dashboard (TracDash) enables management to easily monitor the status & location team members in real-time and review their plan and profile information. Admin can create and assign plans to specific staff, customize emergency response workflows, and enable emergency or live tracking during a team member’s plan. A geographical software development company and Esri Partner based out of Alexandria, Virginia. As an Esri Business Partner, GeoMarvel specializes in implementing a plethora of comprehensive GIS tools and applications, proficient in workforce optimization, cloud infrastructure, data analysis, computing, and developing custom applications and visualizations. With over 20 years of relevant experience, GeoMarvel has proven that it can implement scalable infrastructure and software solutions. Their business portfolio is comprised of entities from across the globe, ranging from members of the Fortune 500 list, various non-profits, disaster relief organizations, to large electric utility companies and local governments. 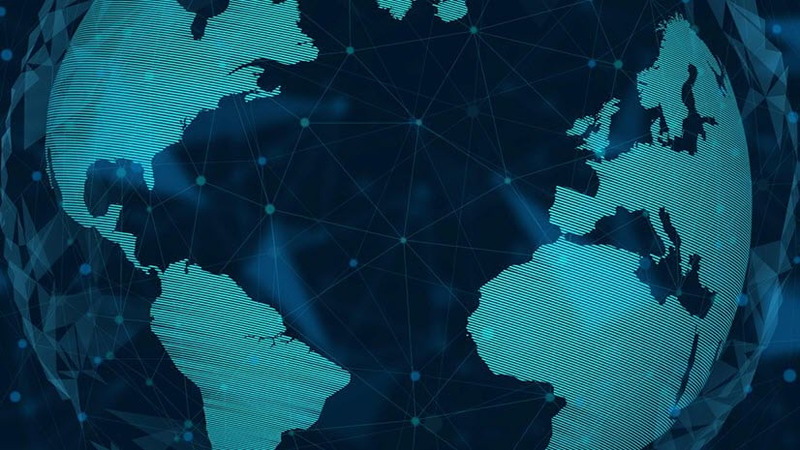 Their mission as an organization is to provide our customers with state-of-the-art solutions by sustaining an active role in the geospatial community by contributing to a variety of industries. Products & Features: GeoMarvel supports a variety of products. While in the program they developed MapLapse, a professional tool to look into any land cover land use change genre. Supporting planning and zoning, utilities, environmental groups, GIS organizations, solution providers, local government, research / education and more. MapLapse is available immediately from the ArcGIS Marketplace in two options, Free and Professional. A Geographic Information Systems (GIS) consulting startup where scientific knowledge joins the domain of GIS technologies to shape your data and find better solutions for you, your company, your business and your city. At MAPIS everything has a place. MAPIS has a set of partnerships and collaboration protocols that guarantee solidity and skills and was the first Portuguese startup in Esri’s Startup Program. MAPIS is also a member of the Chancela U.Porto Spin-off, an initiative that aims at recognizing Spin-off companies created in the context of U.Porto. MAPIS supports research projects climate / environment and public health, in the GIS component, namely in support of scientific master’s and doctoral students. MAPIS has been collaborating and working on the Metropolitans Plans for Adaptation to Climate Change, participated in the definition of the strategy for the Metropolitans Areas, and in Master Plans for Municipalities in urban climate, air, water, soil and noise dimensions. Also working on Local Climate Risks Plans. In parallel, it developed GIS solutions, for example, for the management of the housing stock, for the active participation of the population (envOlve), Geo-applications for blogs, shows and festivals. MAPIS has a complementary multidisciplinary team adapted to each project, focusing on the development of methodologies and tools in GIS, namely the collection, treatment, editing and manipulation of tabular and geographical information, spatial analysis, surface generation, digital satellite image processing and thematic cartography. Technically, our work focuses on design and implementation of a GIS system using Esri technology, namely, ArcGIS for Server, ArcGIS for Desktop, ArcGIS Online, Story Maps, etc. envOlve is a web application to report and management of incidents, that aims to involve people in the management of their parish, municipality, city, business and much more. envOlve is fully responsive and customizable, being adaptable to the goal it’s designated to, by doing it so, it answers to the necessities in a most efficient way. Smart[M]app is a unique application, designed especially for your event. With this [M]app your event is accessible to everyone, everywhere, at the distance of a click in a fun, simple and intuitive way. Smart[M]app helps protect the environment, breaking with old conventions and democratizing the access to information. Put your event on the [M]app and watch it spread through the world. A geospatial software and hardware company offering commercial solutions to easily record, geotag, report, archive & search “moving-track” videos, photos and other location-based project files. Their professional geospatial video recording systems and integrated GIS Full Motion Video (FMV) software tools are ideal for airborne, drone and mobile mapping surveys, critical infrastructure inspection and public safety applications. ArcGIS Online: View and edit webmaps with Mapillary for ArcGIS Online, a web application for ArcGIS Online and Portal, available on the ArcGIS Marketplace. ArcGIS for Developers: Add street-level imagery to applications for ArcGIS Online or Portal using the Mapillary custom widget for WebAppBuilder. ArcGIS Pro: View and edit on desktop with the full power of the Mapillary for ArcGIS Pro Add-in. A really simple way to talk about location. We have divided the world into a grid of 3m x 3m squares and assigned each one a unique 3 word address. It means anyone can accurately find any location and share it more quickly, easily and with less ambiguity than any other system. Products & Features: what3words has apps and a site as well as an API & SDK and is available as a locator, accessible via the ArcGIS platform. The locator allows ArcGIS platform users to display the 3 word address for any location or search for a 3 word address, either individually or via batch conversion to and from coordinates. It makes full use of the Esri Geoinformation Model and is accessible online or offline, anywhere in the world. The what3words locator can be configured at an organization level, whatever the ArcGIS deployment model, so that any roles and users can access it across the entire ArcGIS platform. Works with clients around the globe to help identify the security risks that they face and to manage them efficiently and cost-effectively through Security Risk Management (SRM) consultancy, our award-winning HawKSight Software and our industry-leading training services. Those services are all underpinned by robust security risk methodology, which delivers continuity of security risk analysis, comprehensive risk reporting and ensures bespoke mitigation strategies. Together they enable rapid and cost-effective management of security risks in increasingly complex environments. Products & Features: HawkSight Software is unique. It provides security risk visibility from an enterprise perspective, combined with a powerful operational risk management tool kit in a single platform. Powered by Esri mapping technology and combined with robust security risk management methodology, HawkSight Software enables organizations to implement operational risk reporting with consistency and continuity. HawkSight Software is already achieving traction with organisations in the following sectors: oil & gas, critical national infrastructure, global corporate services, transport, hospitality and leisure, government and non-government. A software platform for Industrial IoT applications collecting GPS-tagged sensor data. Tools.Valarm.net monitors your industrial assets, in real-time, across numerous industries, providing effective business data to decision makers that create efficiency and profit within their organizations. Valarm monitors anything anywhere with Industrial IoT / Internet of Things sensor systems. Whether you need to monitor air quality, water, equipment, high tech transport vehicles, truck fleets, fluids, pumps, generators, motors, flow meters, or anything else, we’ll help you get situational awareness of your remote assets into your Esri ArcGIS platform. An incident and tactical command software built on the iPad platform. With Tablet Command, an incident commander can tap and drag responding apparatus onto an emergency scene, track progress against critical checklists, and time-stamp every maneuver and benchmark throughout an incident. Products & Features: Tablet Command offers three levels of enterprise services: TC, TC Pro, and TC Pro2. Tablet Command enterprise customers can consume map information that is hosted in Esri’s cloud product, ArcGIS Online. Provides in-depth and data-driven information about current and emerging conflicts worldwide. They help private and public-sector clients, generally in insurance and manufacturing, detect geo-political risks for supply-chain security and adjust to them right in time. Products & Features: CONIAS Conflict-Risk Plug-in: a comprehensive assessment of the security situation worldwide on a subnational level, thus augmenting the flow of information and the planning capabilities within your supply chain management. In order to comply with widely varying needs and requirements, CONIAS provides three distinct risk indicators calculated and displayed separately for each subnational unit worldwide: Structural Conflict Risk, Current Conflict Risk and the Conflict Risk Trend. Our indicators are all matched to a consistent scale, ranging from zero to ten. Due to this threefold breakdown of risk, our product can be used for strategic decision-making as well as monitoring geographic locations of particular interest. The underlying scientific methodology and the resulting services of CONIAS have won multiple awards and are successfully in use at several enterprises. Located in Houston, Texas, provides high-quality solutions, field technology and other technical services to help clients in the intensive use of operational data where location is a key component. During their time in the program, ATISoft Technologies was able to successfully develop GeoMAPEX®, their technological platform which leverages Location of Things (LoT), Internet of Things (IoT), workflows and business intelligence, integrating technological components from Esri, Microsoft and OSIsoft to develop software products suited to the needs of each organization. GeoMAPEX® Portal: Integration and collaboration portal for the configuration of visualization tools, workflows, reports and mobile applications. GeoMAPEX® LoT: Indoor/Outdoor “things” tracking using RFID/BLE/WiFi/GPS for process optimization. GeoMAPEX® Industrial IoT: Real Time Data Infrastructure for Operational Data. Management of large volumes of data, processing of models and algorithms for the generation of substantive information and visualization and integration with other systems. A Munich-based company which specializes in reaching mobile users with intelligent, geo-targeted advertising. It connects and verifies mobile banners with location data leveraging professional tools and geodata scientists to enable a unique way of targeting for advertisers. They create audiences like DINKS, dog owners, students and so forth by combining real time location data with other statistical and real-time data sources. They work together with Esri and the European Space Agency and have developed new algorithms for programmatic advertising. mobalo can be used as a self-service tool and as a managed service. It is also available as a white label solution. mobalo Intelligent Grid (MIG) puts the user at the centre of the advertising communication. With the MIG, advertisers can disseminate their messages specifically to relevant mobile customer touchpoints via any DSP, situation-based and geo-localised. With full control, transparency and the greatest possible reach. Geolytics™ Geo-research with the MIG: The mobalo Intelligent Grid is the technological basis for geo-research. The prerequisite for successful geo-market research is a well-founded and successful database. For this purpose, mobalo has developed the MIG. Using the location intelligence, the MIG provides relevant information to all cells within the Grid – geographic, demographic, sociographic or quantitative. Therefore, the MIG is not just responsible for the technical setup of a Geolytics™ solution. Even during the subsequent analysis, the Grid helps convert the raw data gained into precise and clear movement data. For example, it is possible to accurately analyse and display visitor streams between multiple points. The research results therefore form a reliable basis for your business decisions. Simplifies communications with your citizens, visitors, and staff. Reach your citizens faster via analysis, planning and communication. We don’t merely deliver information on the most appropriate communication channel, we make sure that people can safely and securely consume this information, request help/follow-up, check-in, all the while keeping a company’s data safe. Supporting a wide array of industries such as aviation, defense, electric & gas, public safety and more. When an emergency happens, SmartNotify’s customers are no longer alone to keep their people safe and informed. We all have a different definition of what an emergency is: It ranges from a power shut-down, all the way to a terrorist attack. However, the common thread the need to keep people informed and safe during tense situations. Regardless of the number of people involved, the location, or the time of day. SmartNotify acts as our customers’ trusted digital assistant during those times. A home-grown geospatial development firm based out of Castle Rock, Colorado. We specialize in mobile and web development, geospatial data management, and cartographic design. We are proud to be a member of the Esri Partner Network and recent graduate of the Esri Startup Program. Products & Features: CartaPro: Designed with enterprise users in mind, takes GIS data into the field. Export GIS data from your desktop to your iPad for both field and office GIS work. Make edits, add or delete records, or create entirely new datasets all without needing an internet connection. Connect to your enterprise web services, ArcGIS Server, ArcGIS Online Account, or ArcGIS Portal. Our sophisticated yet simple to use Offline Caching tools allow you to take large amounts of map layers offline so you can use your data anywhere. NeoTreks also develops custom geospatial applications for mobile and web. Self-organizing network and dynamic spectrum management solutions help telecom, public safety and military operators maximize their infrastructure and spectrum usage. A software company based in France specializing in the geo-valuation of business data. Experts in Data Science, Geographic Information Systems (GIS), IT development and Data Visualization, Smart / Origin offers a range of innovative products and services for businesses, local authorities and other organizations. Geographical Dashboard: leverage a geographic based dashboard to manage activities, track performance indicators in real time. Cities Interactive Map: boost communication through an immersive experience of your territory and enhance your heritage. Field Data Collection Application: embed your data in the field and collect and automate your reports. Citizens: allow users to report in real time problems encountered in a territory, as well as actively participate or communicate requests. June 2018 OnFarm Systems Inc., a leading Internet of Things data integrator and provider of software and analytics tools that help farmers simplify their data while improving their efficiency, profitability and sustainability was acquired by tech and farm water management leader SWIIM System. Fresno-based Lance Donny, OnFarm’s founder and CEO, will become SWIIM’s Chief Operating Officer and assist SWIIM’s senior management with integrating its water balance monitoring and reporting data into the OnFarm dashboard. The technology is currently being deployed throughout the western US to help growers account and manage their agricultural water budgets and protect their water rights. Products & Features: SWIIM’s water compliance, reporting, and management solution helps dramatically improve how farmers face both their data and water challenges. In addition to integrating directly into SWIIM’s platform, OnFarm will also continue to offer its primary product, an award winning, fully customizable dashboard capable of delivering both in-field and remotely-gathered data from various sources into a seamless, easy-to-view display, capable of being seen on any internet connected device. April 2018 Fishidy, a platform that brings together fishing maps, social connections, and information on thousands of waterways across the nation, assisting anglers in finding “hot spots” to successfully catch fish, was acquired by FLIR® Systems, Inc. FLIR is a world-renowned designer, manufacturer, and marketer of thermal imaging cameras, components, and sensors. The concept was the brainchild of Fishidy CEO Brian Jensen, GISP, former director of local government for GeoDecisions, Gannett Fleming’s geospatial technology division. Gannett Fleming’s Collaborative Research & Innovation Center brought the concept to market in partnership with GeoDecisions and Fishing Hot Spots®, a national fishing map provider based in Rhinelander, Wisconsin. The application now has over 1 million users and reached nearly 150,000 members by 2013, receiving $1.5 million in Series A equity funding from Hyde Park Angels in 2014. Jensen will lead FLIR’s new digital group and will incorporate Fishidy as one of the company’s marine applications. Products & Features: Fishidy, Inc features interactive mapping technology, accurate fishing maps, and social networking, Fishidy helps anglers of all abilities maximize their fishing potential. The app was created for iOS and Android platforms. 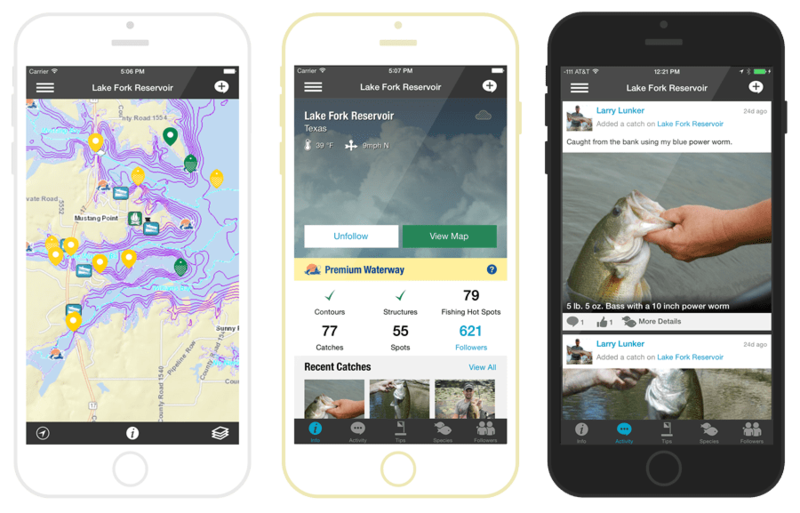 Users can discover shared catches and local fishing hot spots, stay up-to-date with the latest fishing reports, be better prepared with detailed waterway information, and track their position along depth contours on top waterways. Not only is Fishidy effective, it’s fun! Connecting with new buddies and waterways exposes members to continuously updated, real-time fishing reports for use the next time they’re on the water. June 2017 Paleon Solutions, Inc., the provider of the AMI Office Suite for the maximization of utility “Smart Meter” investments were acquired by SSP Innovations, LLC (SSP), a leader of utility GIS services. With the acquisition, SSP acquired the Paleon AMI Office Suite and incorporated Paleon’s management team into executive leadership positions. Products & Features: SSP Innovations offers a variety of products for the modern utility, telecommunications, or pipeline operation. SSP AMI product suite offers tools for the Smart Grid utility. SSP AMI Sim lets you understand the impact of your AMI rollout before installing a single meter. SSP AMI Ops gives your teams real-time operations intelligence so you can proactively monitor your network. And finally, SSP AMI Intel gives management valuable visibility into the analytics of your AMI system, so you can gain even more ROI out of your investment. Discover the product that meets your needs below. January 2016, Alabama-based indoor mapping solution provider GeoMetri was acquired by Acuity Brands, a North American company and one of the world’s leading providers of indoor and outdoor lighting and energy management solutions. Products & Features: GeoMetri platform provides the foundation for making buildings and businesses location aware. 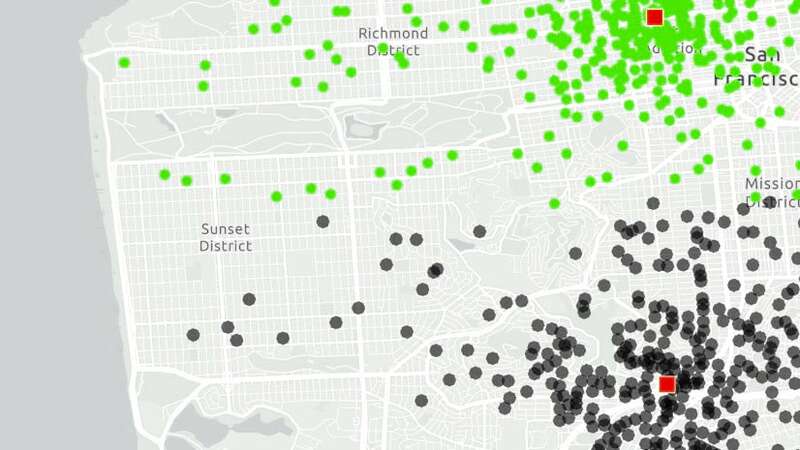 The mapping tools help identify, measure, and visualize pedestrian foot traffic. They also optimize indoor and outdoor venue floor plan information so that occupants can search for and navigate to points of interest using a smartphone. Katie Decker is the Community Manager for the Esri Startup Program, a free three-year program that gives emerging businesses the tools to build mapping and spatial analytics capabilities into their products. As Community Manager, Katie enables hundreds of startups to successfully leverage Esri’s technology and global business network. She also helps to foster their collaboration with a wide array of organisations and industries such as - local, regional and national governments, utilities, transportation, natural resources companies, commercial organizations and more. 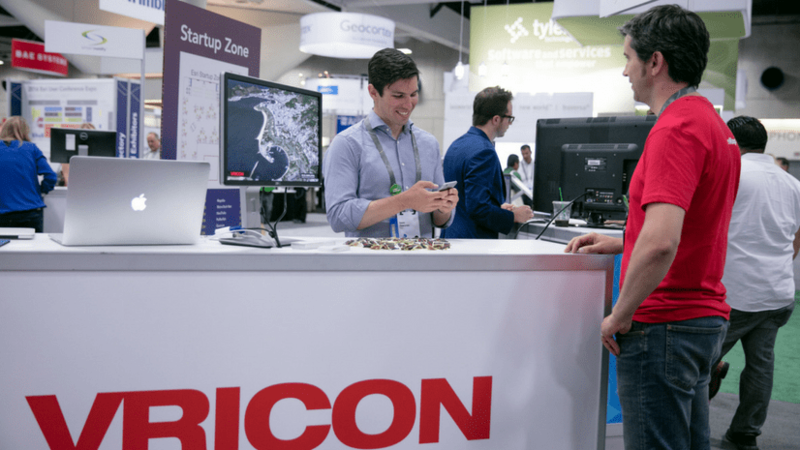 Esri continues to foster industry innovation, showcasing groundbreaking applications in 2018 Esri User Conference Startup Zone.